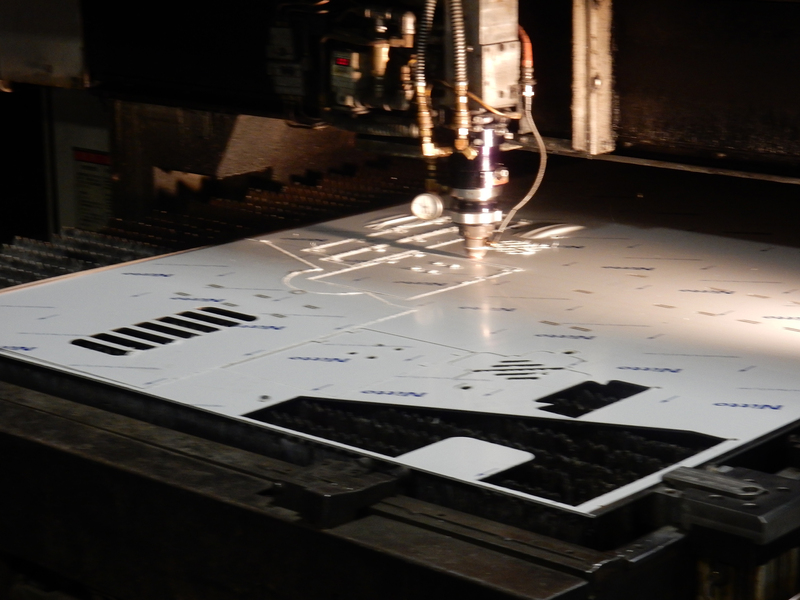 Our custom 2D (two dimensional) laser cutting service is ideal for any job from one part to hundreds of parts. CMI operates a Mazak Super Turbo X510 laser system; it is set up to cut only stainless steel. The maximum sheet size we can cut is 5′ x 10′ with a maximum thickness of 1/4″. This system can produce very intricate cuts with tolerances as small as +/- .005″. We pair SigmaNEST with our laser system. SigmaNEST is a prominent nesting software; nesting is defined as the process of arranging cutting patterns on raw material in order to minimize waste, reduce fabrication time, and increase productivity. With the combined abilities of our Mazak laser cutter and the SigmaNEST software we are able to offer very competitive pricing.